As I reflect on 2016 and plan for 2017, I find myself unable to reconcile the election and the impact of what a (he who shall not be named) presidency will mean for many Americans. I would like to think I did all that I can to help get Hillary elected but based on results it is clear I could have done more. On January 20, 2017, many Americans will enter a phase of new challenges the likes which we probably didn't think were possible. The President-elect’s promise to be the “law & order” candidate will most likely be accompanied by laws and policies that incentivize targeting the indigent and disenfranchised. His Cabinet picks will likely push an agenda that targets LGBT people and undocumented people. He’s taken advantage of hard working Americans at every stage of his career and will continue to do so throughout his Presidency. His Secretary of State pick will promote policies that will do irreparable damage to our environment. And that’s just the beginning. I'm from Harlem. I live to run. What can I do? Well, it's no secret that this incoming Administration and Congress have a target on women's right to choose and women’s health. There will never come a time that I look back and wonder, “what could I have done to protect that right?”. 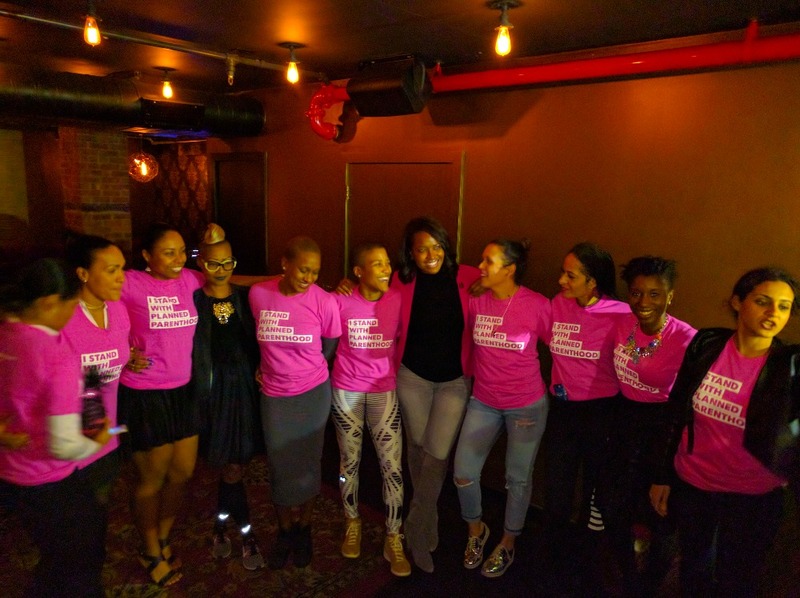 On January 16, 2017, MLK Day, I (and a small team) will begin a 240-mile run from Harlem to Washington DC in an effort to raise money and awareness for Planned Parenthood and the awesome power of women. (To put it into context, we'll be running roughly two NYC Marathons each day). We will arrive in DC on January 20th to join all of our powerful, beautiful, and courageous sisters in the Women's March. There will be four of us running, but we’ll be running for all of us. 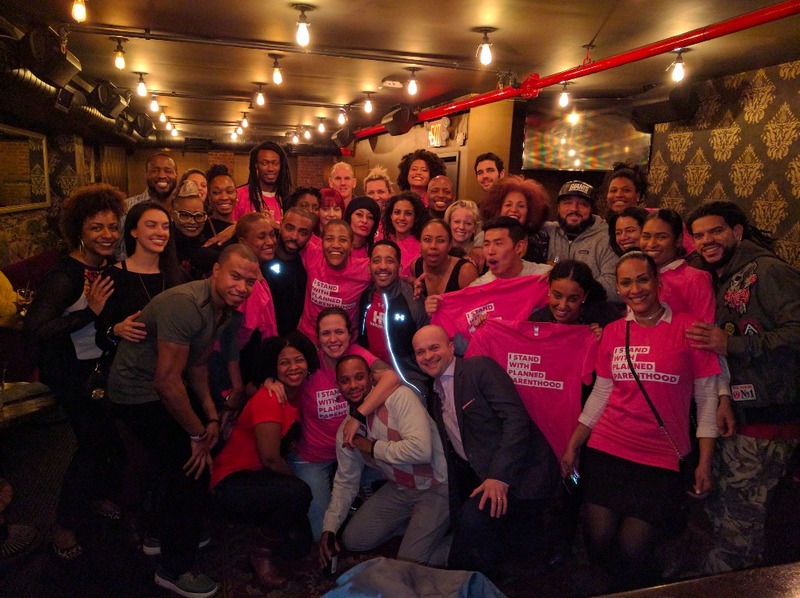 If you would like to support Planned Parenthood and our run, please donate here (we are hoping to raise $44,000 in honor of the 44th President, Barack Hussein Obama). Please join us along the route. We would love to run through your city with you, and will be sure to carry the baton of hope and health all the way to our nation's capitol. I can't do much, but I CAN do this. See you in DC. It has been over a week since we returned from Washington, D.C. and the memory is still fresh in our hearts and minds. Nearly 1,000 people met up with us along the way, supporting us in any way that they could. I want to give a special thank you to November Project Philly and Baltimore, Run 215, District Running Collective, the women in Plainfield, NJ who we lovingly called “the Jellyfish Squad” because of their brightly lit vests, Carole Treston, the stranger turned friend who allowed us to shower at her home in Philly, the Baltimore PD who escorted us through the night, and every person who greeted us with incredible energy along the way. I have to be honest, there were some awful parts of the trip – among them, the stench that developed in the van, but all of it was worth it for what we accomplished. We have raised nearly $104,000 for Planned Parenthood in 29 days and ignited a spark in people all across the world about the power of ideas and the value of community. Together we proved that, no matter the circumstances, there is ALWAYS something we can do to bring about change. So, what’s next? 1. The money from this campaign will go directly to Planned Parenthood. They will determine how the money is allocated to best meet the needs of the organization and you will certainly receive an update about that. 2. I am compiling a mailing list of all those people interested in continuing to be part of the Run4AllWomen movement. Please click the following link to stay up to date: goo.gl/forms/i0hEJsLEdxiSSJJt2. 3. On February 8th, we will host a panel discussion in New York from 7-9pm at FINISH LINE PT, 119 WEST 23RD, STREET, #304, NEW YORK NY. The discussion will be available via Facebook live at facebook.com/HarlemRun for everyone to view. 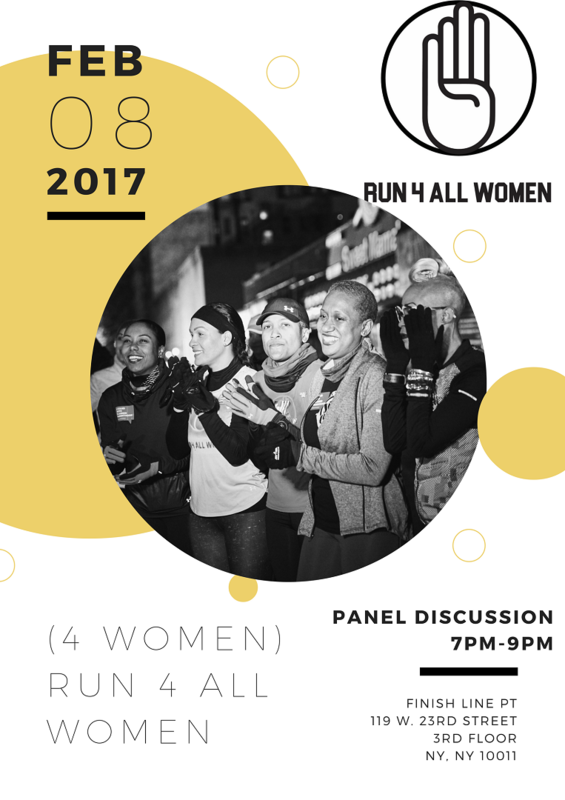 We will go thru a Q&A with all of the women as well as give a major announcement following the panel regarding next steps for Run4AllWomen. Our work has only just begun. I did not anticipate that Run4AllWomen would evolve into a movement but I am so thankful that it has. I look forward to continuing to do this important work and involving as many people as possible to ensure that our rights are upheld and our needs are met. •	The most important rule for the run is that we must keep going, or as Dory reminds us, "just keep swimming." In order to ensure that we stick to our timetable and arrive ahead of the Women’s March, the priority will be on the core 4 women running. If one of the core 4 women is not running, whoever arrives first to the exchange zone will hand off to the next person ready to run. •	Spray painting along the route will be done where possible but the priority will be to keep moving. •	There will be changes to the route as we go along; please be flexible. There is no need to sign up via the excel document – just show up (early)! Please ONLY participate if you are healthy enough to do so. Please also note, that the core group and van will continue moving along with the women in the lead. We do not want any participants left behind alone so please be sure that you have at least one other person with you so that you are not running unaccompanied. I acknowledge that physical exercise can be dangerous and involve risk of serious injury, paralysis and/or death. I hereby acknowledge and agree to assume responsibility for all the risks, whether identified herein or not. My participation is purely voluntary. I assume full responsibility for myself for any bodily injury. As you know, our efforts have garnered some media attention. As a result, there will be film crews, photographers, and press along the route and throughout that will be documenting this run. For that reason, I have been asked to share this photo release with you all. I acknowledge that during the run I may be photographed or filmed by participants and other professional or amateur photographers. I hereby grant the leaders of the event, its legal representatives, assignees, and those acting under its authority, the unrestricted right and permission to copyright and/or use, and/or publish photographic portraits or pictures, and the negatives, transparencies, prints, or digital information pertaining to them, in still, single, multiple, moving or video format, or in which I may be included in whole or in part, or composite, or distorted in form, or reproductions thereof, in color or otherwise, "Material" in any media, advertising, or any other lawful purpose. Finally, we are so thankful that every item on this journey has been donated –from the van to the food, so every single dollar received will go to Planned Parenthood. Brief update - we had an amazing time last night and raised about $1500 for Planned Parenthood (cash will be added by Tuesday). We were joined by Alencia Johnson, Director, Constituency Communications at PP, who shared with us the importance of fundraising efforts and activism to preserve the work of Planned Parenthood. Thank you to everyone who came and donated! I recently posted the stencil that we will be using to tag those who are participating in the run/supporting/etc. Here is a link to the logo file: https://www.dropbox.com/s/skxl1a2if9orc2o/Four%20Women%20Logo%20%281%29.pdf?dl=0. Please feel free to reproduce so that you may be able to show solidarity! And many thanks to Kai Ng (@_therealkai) for the design. 1. We will continue fundraising. Gofundme allows fundraising to continue for 30 days from the first donation. Once the gofundme closes, the donation will be made to Planned Parenthood. I have been contacted by the national office about the local affiliates that are at greatest risk of being defunded. It is my hope that the funds go to areas that need it most. The national office will advise me on that. 2. What pace will we be running? Between 9 and 12 min miles. There will be lots of women joining us but our pace will rest within that range for the most part. We have a goal to make it there in time for the Women's March. That is important. 3. We take off Wednesday, January 18th at 6pm. 4. At this point, there is no longer a need to sign up via excel spreadsheet. Just show up! Please arrive early. 5. There will be changes as we run. So please be prepared to run a bit off course at times - flexibility will be important. 6. Please only run if you are well enough to do so and you may consider consulting a doctor first. We want to keep everyone safe. 7. Speaking of safety, we will be escorted by security at various times throughout the route. 8. For media who plan to follow us, please be mindful that we are running on open streets and that interference may compromise our safety. 9. The best way to stay informed of where we are is via twitter. 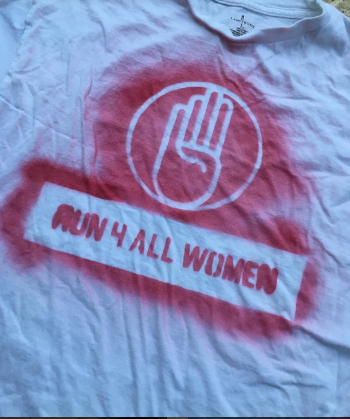 Please follow @run4Allwomen and via IG @powderedfeet for updates. Twitter is also the best place to ask any questions you might have and to show encouragement. 10. 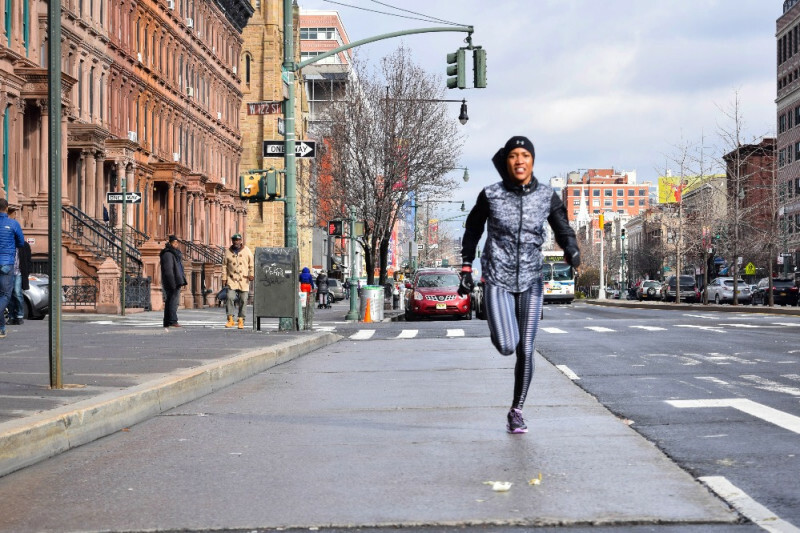 Everyone is invited to run - men, women, the trans community, those who are gender nonconforming. 11. Run organizers will be unable to provide transportation for additional runners; people joining the route should plan to meet at exchange zones. The first 24 hours have been INSPIRING - 182 shares on Facebook, almost 1000 visits to this donation page, and over $1000 raised for Planned Parenthood so far. Additionally, women from all over the country have reached out to me asking how they can take part - from organizing logistics to fundraising. I know that I am not alone; in fact, I am surrounded by a powerful community who WILL make this happen. Speaking of - I just did the math. I have 2,678 Facebook friends - if each person donates just $17, I will meet and exceed my goal. $44,000 may be a lot when you think of it in one large chunk, but it's completely doable in parts. It's the same as the 240mile journey. I will be sending updates re: the route and the women who will be joining me in a few days. Please stay tuned and thank you for being part of this journey. Happily donated and shared. Thank you for doing this, and see you at the march!! Hi! I'd love to join you in Westfield NJ during the 4am leg. Should I add my name and contact number to the assignments spreadsheet? Let me know what contact info you need and if I can bring you guys some coffee, bagels and bananas! Go get em ladies! So excited for you guys! I look forward to celebrating your work and advocacy in DC. Will you guys do some sort of Facebook live or snapchat story or something!? Really would like to follow along! Will be running in solidarity Wednesday night as suggested! So excited to be a part of this. Planning on joining in on the Westfield leg. woah - thank you for sharing the link! Happy to have donated. Thought of you all as I marched in Las Vegas. I want to interview you for an article for Scary Mommy. Call me! Or mssg me on Twitter with your email so we can discuss. Thx! You all are truly inspirational, strong and empowering women. I will be running in solidarity with you in N.C.! Westfield, NJ is ready and waiting! Made headbands so you spot us! To bad that you continue to drink the demorat kool-aid. You seem to like staying on the demorat plantation so close your minds and see where you are in 50 years. Good luck. Alison, you are inspiring! Congrats to all on a legendary run to support PP!